What went wrong in Westminster at the protests? Newsnight's Paul Mason analyses how student protests in London led to a breakdown in public order. The Metropolitan Police has launched a "major criminal investigation" into the disorder during the protests in recent weeks. The force said a "significant number" of protesters had been "intent on violence", and people suspected of criminal behaviour would be prosecuted. 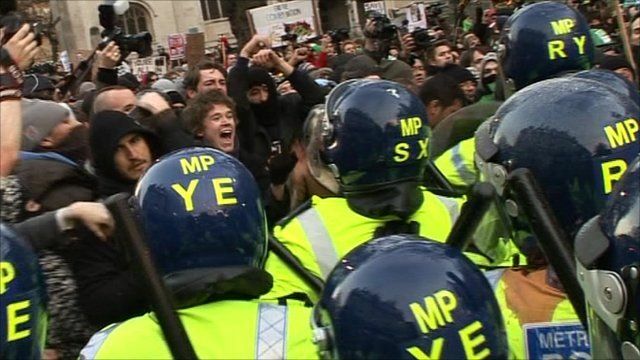 Students have criticised police tactics, particularly of holding demonstrators in a small area, known as "kettling".